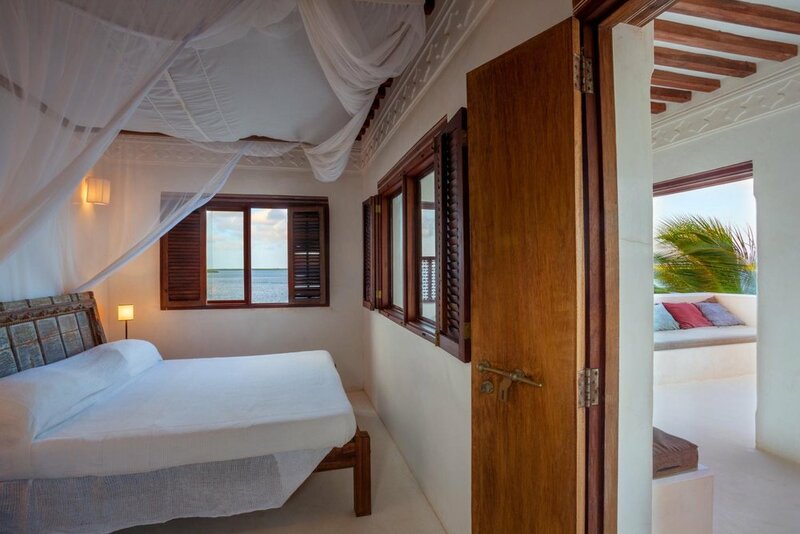 Sleeps 10 to 13 people, in 5 ensuite bedrooms (3 double and 2 triple), all with stunning sea-views. 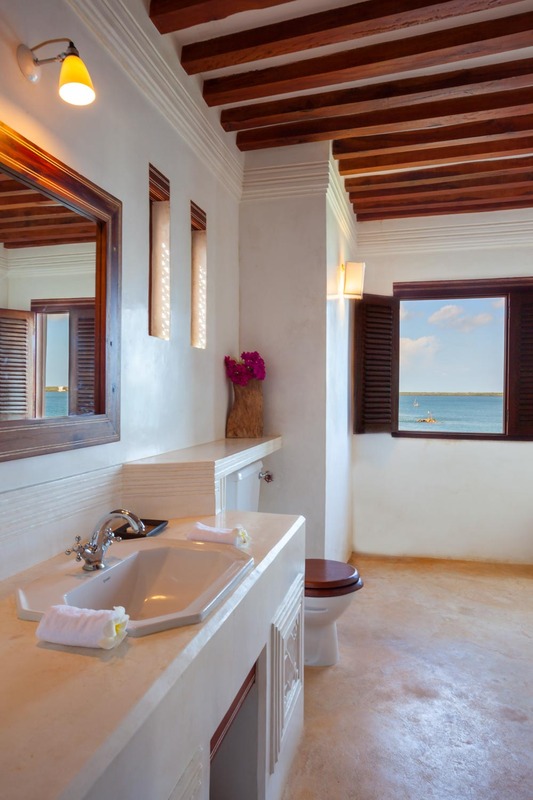 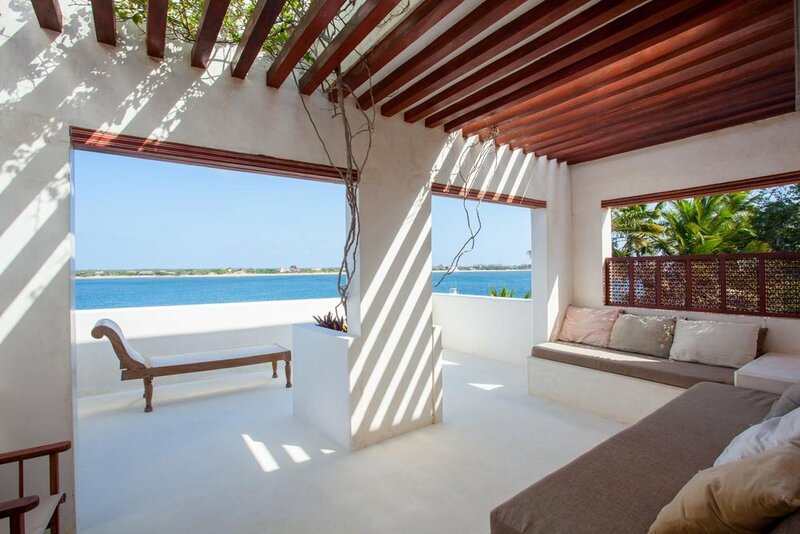 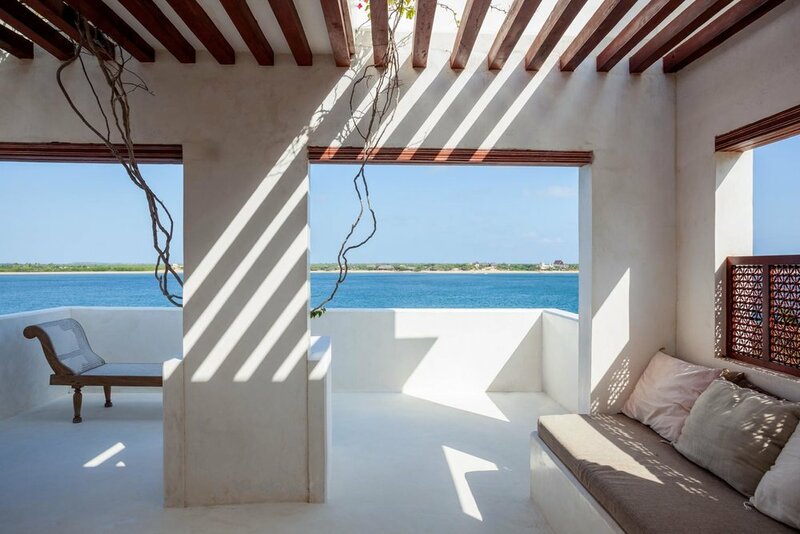 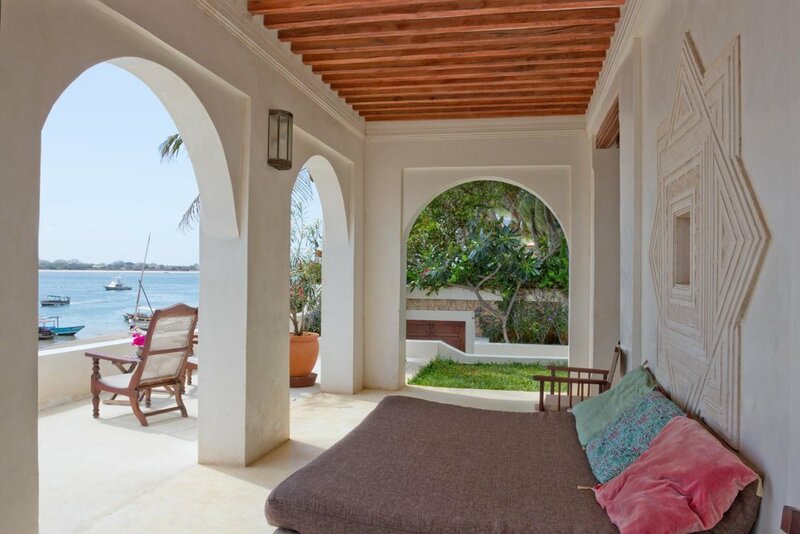 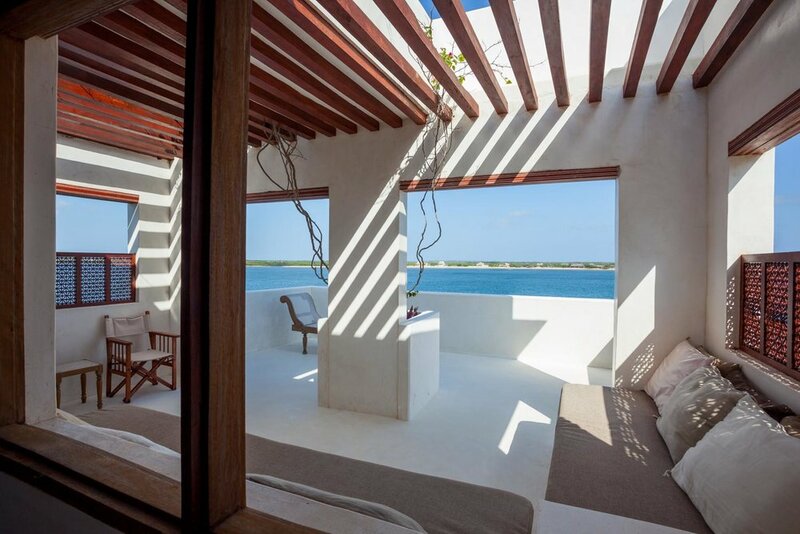 Beautiful beach front house, direct on Shela beach in Lamu, with stunning 270° sea-views on Indian Ocean. 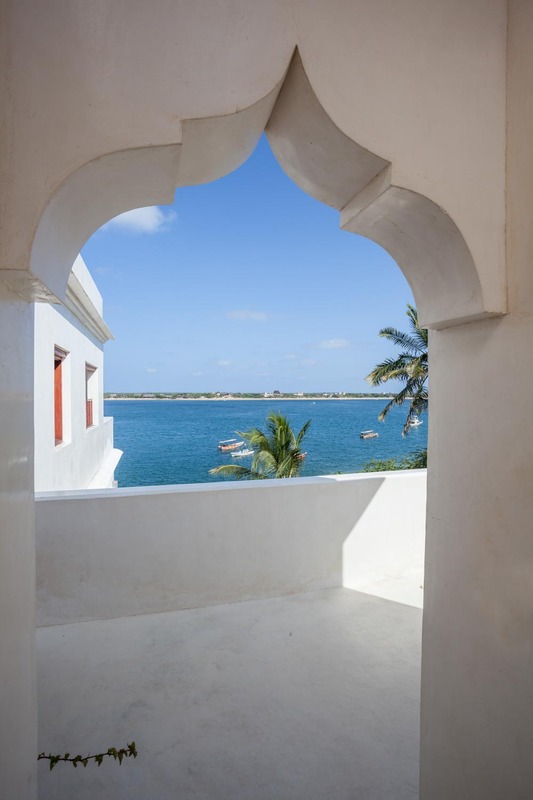 Forodhani is backed by the village, facing the beach and jetty at the very spot where decades ago stood a watch-post (Forodhani in Kiswahili) that controlled the ships and passengers entering and exiting the Lamu Archipelago. 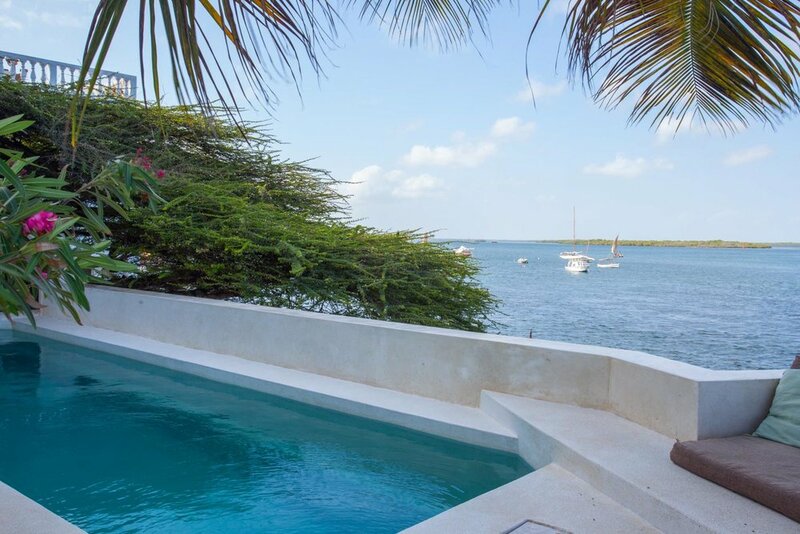 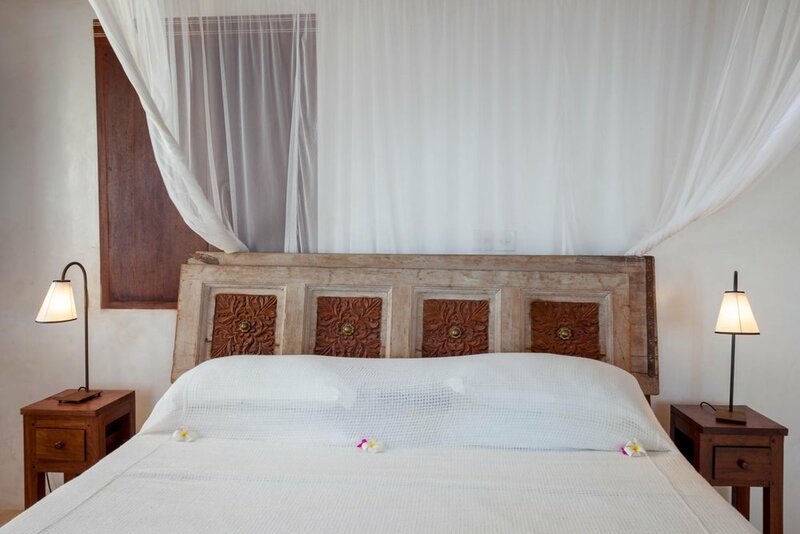 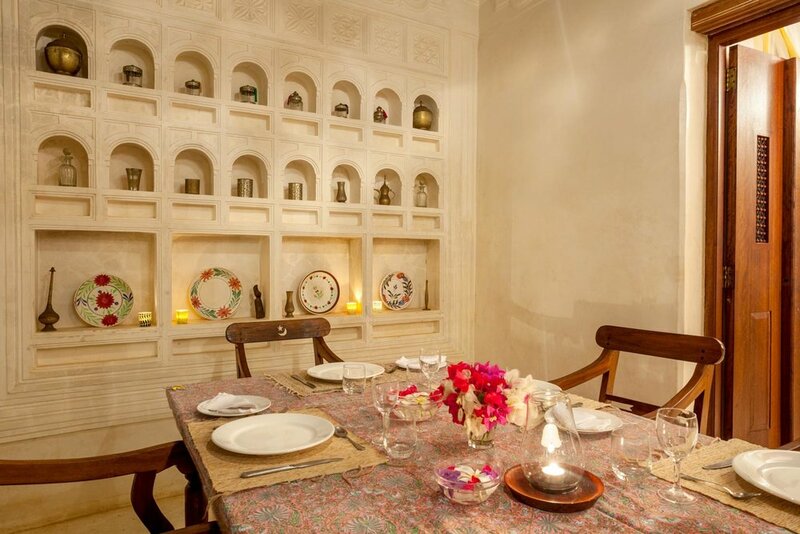 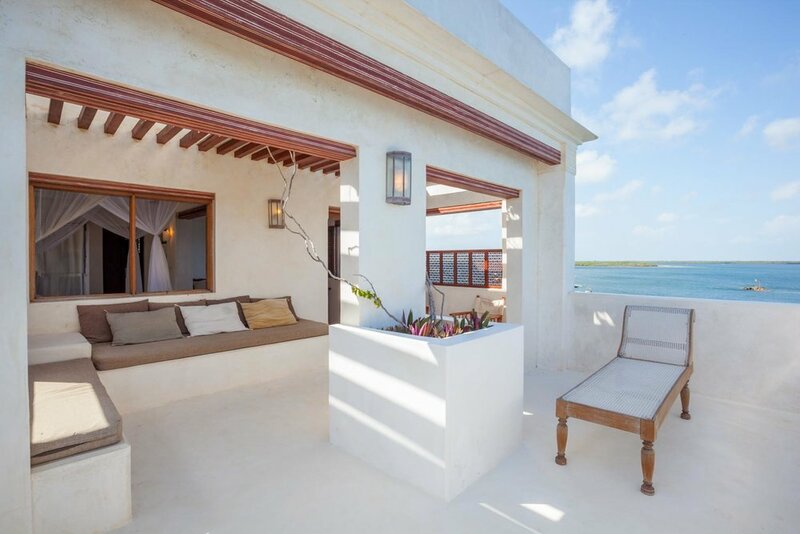 The house commands a superb views of the arm of the Indian Ocean that separates the islands of Lamu and Manda. 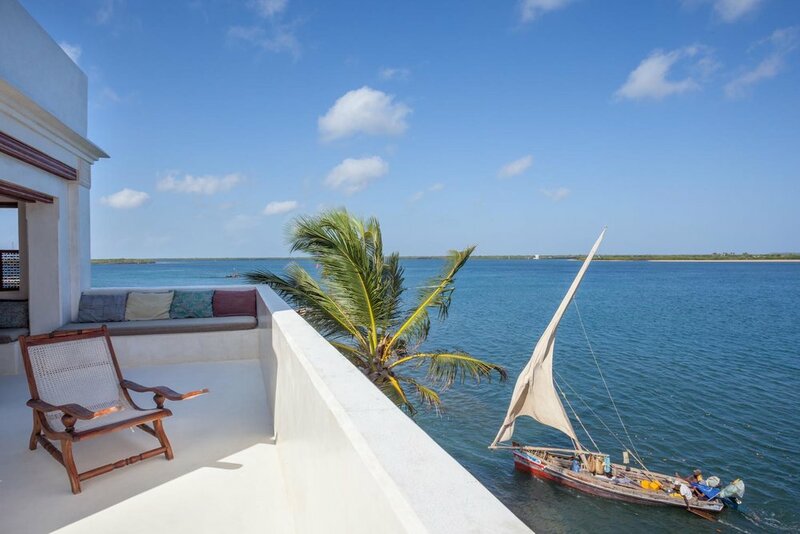 It towers over the dhows and their crews sliding out to the ocean or returning to the quiet waters bordering Lamu town and Shella. 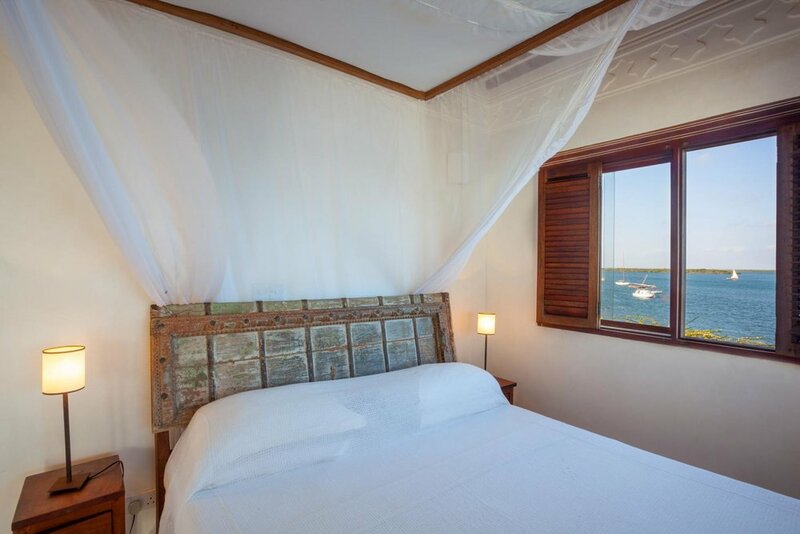 You have 270 degrees of breathtaking but peaceful views of the to and fro of boats entering and leaving the archipelago! 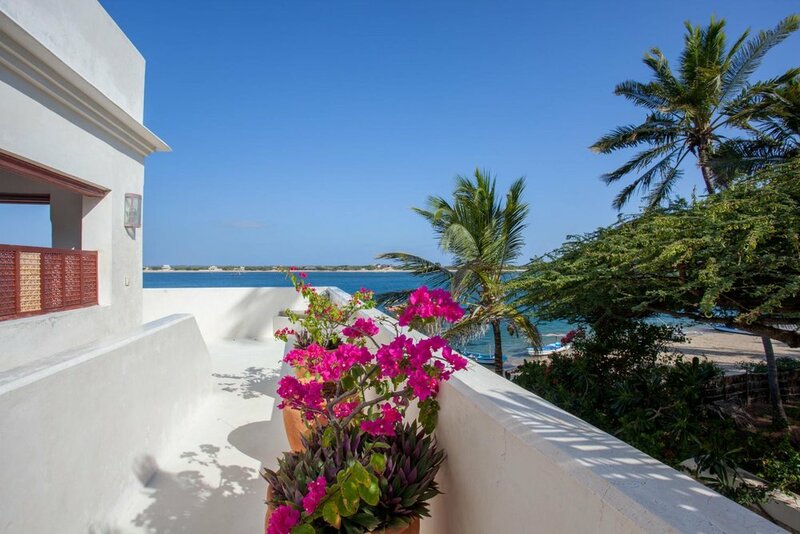 With lots of different areas to take it easy in (near the pool, in main lounge, in garden, dining room, or on barazza beds and seats, shaded or not, at ground, 1st or 2nd floors, in little lounge bar, or on top top terrace), it is really the ideal place to stay with family or friends, to relax, be lulled by the lapping waves and cooled by the gentle sea breeze which is so refreshing at these latitudes. 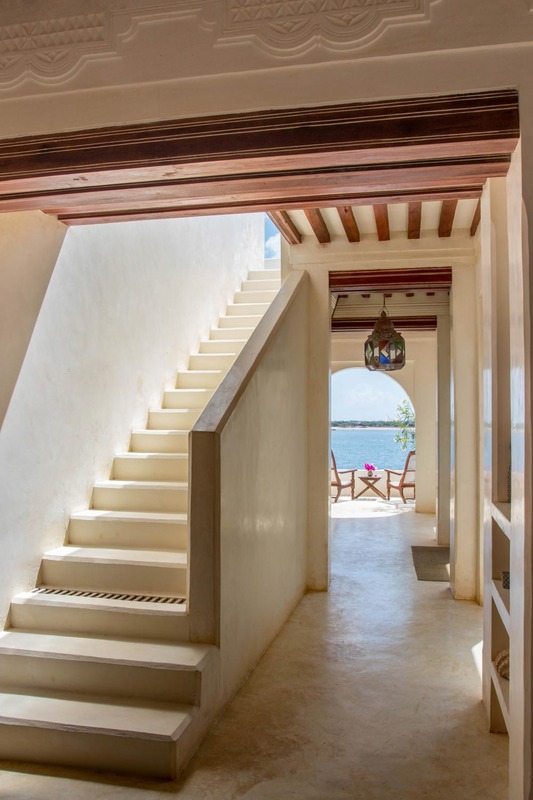 Here you will be able to relax (5 staff, among them a very good cook, to pamper you), enjoy the pristine white sand beach and its activities (sailing, swimming, snorkelling, windsurfing, fishing…), discover Lamu Old Town and Shela (the rich Swahili culture and its welcoming atmosphere)... 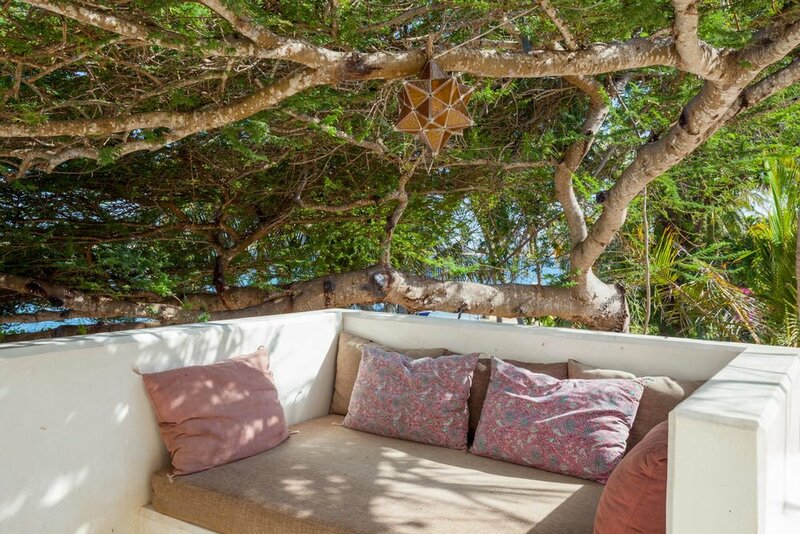 But you will also be able to take the most of Nature, which is truly at its best here.